There are plenty of scrubs available in the market each promising better skin, cleaner pores and a bright glow. But some suit your skin and some do not. Rather than experimenting with one scrub after another, you can make a nice face scrub for yourself at home, at a fraction of the cost and keep experimenting until you find the best fit for your skin! Here are five scrubs you can give a try to. Am sure one of them will certainly suit your skin type. So go with your mood and pick one and try for smooth and supple skin. The sugar granules help in getting rid of any dirt or grime that is deposited in the skin. Lemon will help remove excess oil and cleanse the skin. Honey, on the other hand, will help lighten the skin tone and also keep the skin moist. To make the scrub, simply mix together the juice of half a lime with a tsp of honey. Add a tbsp. of sugar to it. Mix well. Splash some water on your face and work this scrub in circular motions on the skin. Repeat twice a week for best results. In a bowl, add two tbsp. of oatmeal. Mix into it a tbsp. of yoghurt. 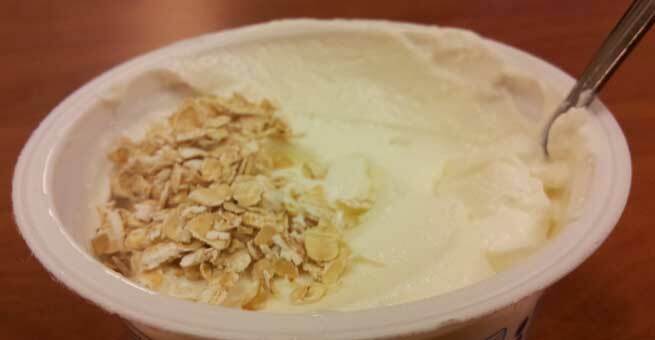 The yoghurt helps in cleansing the skin and also regulating the oil produced by the skin. The oats gently cleanse the skin and remove all the dead cells from it. Always remember to wash it off with some warm water to remove any grease left behind by the yoghurt. The scrub soothes the skin and gives you a soft glow. Repeat once a week for best results. Mix together 2 tbsp of coarsely powdered almond with 1 tbsp of olive oil and a few drops of your favourite essential oil. Lavender or tea tree oil work great on the face. Dampen your face and scrub it with this homemade almond scrub. 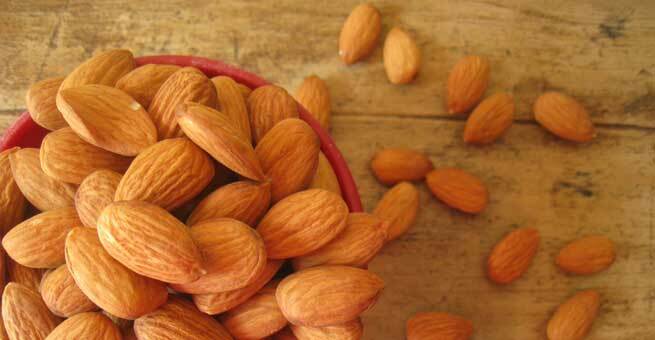 The almond helps in brightening your complexion. The oils in the almond help give you a smoother texture. Olive oil has been proven to be great for the skin. It will prevent formation of wrinkles and also even out the skin tone. The essential oils will have a calming effect on your mind. After scrubbing, leave it for five minutes and wipe away with a warm wash cloth. Follow up with a cold water splash. This is one of the easiest exfoliating scrubs there can be. 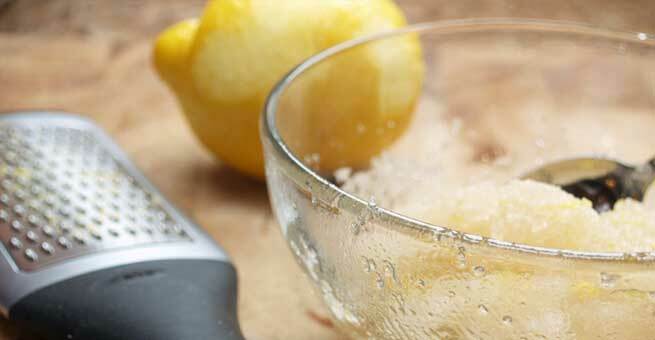 Mix together 1 tsp of baking soda with 1 tsp of sugar and some lemon juice to make a paste. Apply this on moist skin. Focus on the nose, under the chin and the forehead. This scrub helps remove any blackheads in the skin. Wash it well after scrubbing. Do it once in a week for clear skin. Strawberries are in season and what better way to make use of spare strawberries than a wonderful face scrub? Mash together two strawberries. Add to it a tsp of sugar and some almond or olive oil to make a paste. Mix them well. Scrub your face with this to get rid of dull skin, blackheads and dryness. 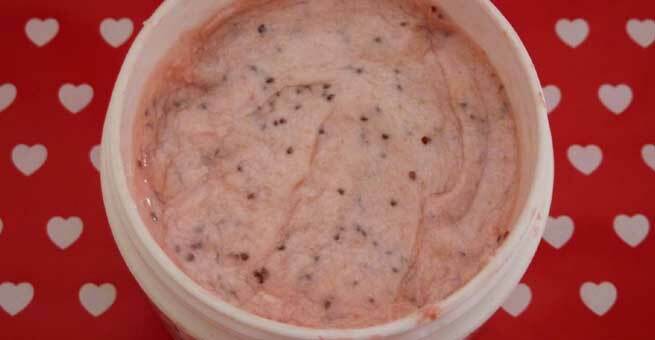 Strawberry is also a whitening agent and will make your skin look clearer and fairer.